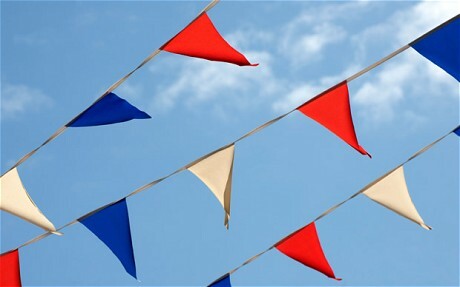 Red, white and blue bunting is an excellent addition for decorative garden parties and traditional celebrations. Our red, white and blue outdoor bunting is printed onto knitted polyester using dye sublimation printers to reveal striking colours and make your event look fabulous. When purchasing red and white bunting, you can choose to buy in rectangular and triangular shapes and it can be bought in 10 metre lengths. Perfect for all outdoor and indoor events.